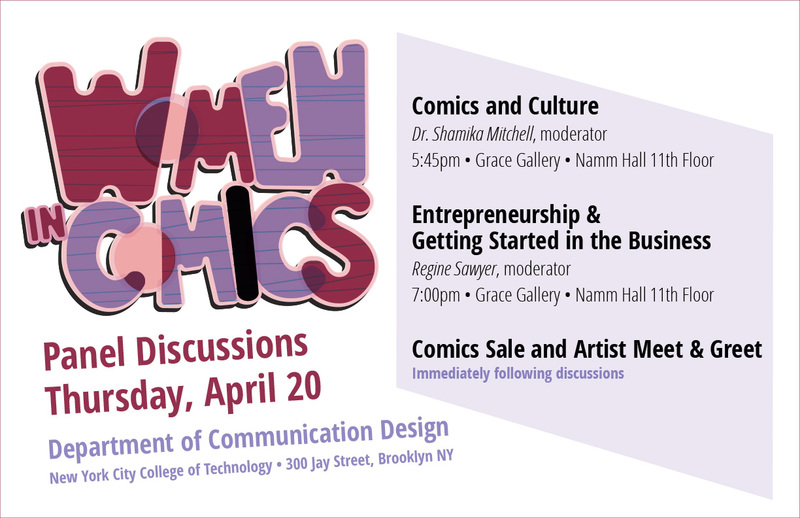 To end our month long exhibition of Women in Comics, the Department of Communication Design at City Tech will host two panel discussions, featuring the amazing female creators from the show. These women are artists, writers, and entrepreneurs. Their careers span all aspects of the comics industry; from Marvel and DC to Independent Comics. Please join us as they share their experiences. A discussion on how ethnicity and culture are portrayed in the medium of comics, and how they reflect and inform our culture as a whole. Moderated by Shamika A. Mitchell, Ph.D.